Ubisoft has released Assassin’s Creed Syndicate for the PlayStation 4 and Xbox One. The open world adventure takes gamers on a historical mission through the Industrial Revolution in London during 1868. The new release marks the ninth installment in the series and just like a great wine--Assassin’s Creed has only gotten better with age. Are you ready to embark on a brand new set of missions and explore the beautiful open world that is Assassin’s Creed Syndicate? Read on. Assassin's Creed is definitely one of the best, major series in the gaming world and it has always managed to impress players by creating massive, exciting open worlds filled with quests and just a whole lot of fun things to do with its exquisitely detailed world. This is one of the many things that makes Assassin's Creed Syndicate just a joy to play, the fact that not only it allows us to enjoy London during the Industrial Revolution, but it also has a fantastically intriguing story to boot. The game takes place in 1868 right in the middle of the industrial revolution and we follow two twins as they are fighting against the Templars. 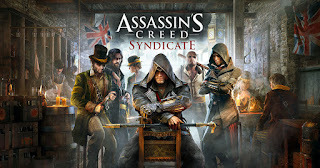 Obviously, some of the main things about the Assassin's Creed Syndicate remain here just as always, such as the ability to explore the world as you see fit, killing enemies using stealth and great weapons, but there are differences as well. For example, players will be pleased to see the fact that this title isn’t offering multiplayer, because most have found the multiplayer in previous games to be an unnecessary distraction that doesn’t offer a lot of value to begin with. The Assassin‘s Creed titles are something that are meant to be fully experienced alone in order to take in all the title has to offer and not adding multiplayer to a stealth-action title such as this allows developers the ability to focus more on the great single-player mode. However, maybe the coolest thing aspect of Assassin’s Creed Syndicate is the ability to switch between two characters throughout the title without any unwarranted restrictions. It is a fairly simple mechanic but it manages to offer up a lot of freedom and variety that you can rarely find in the gaming world. Also, here at BioGamer Girl, we always love the ability to step into the shoes of a female assassin for a change, while being able to test out different attacks and skills with each character offering up totally different gameplay styles. Gamers will find that Jacob allows for a more versatile style of play, while Evie has fantastic stealth abilities to employ against the order as the first playable female character in the main series. Exploring the city of London with a fast carriage is ridiculously fun while the city on its own is positively breathtaking. The new release features redefined combat mechanics alongside new traveling systems to explore the third person open world adventure. On top of that, it’s safe to note that the title does bring in newly designed weapons such as brass knuckles and combat revolver which are really cool to say the least. The new traveling systems includes trains, but at the same time you can also engage into some fast parkour chases which are nothing short of amazing. The gameplay can become a little repetitive after a while, just like any stealth title can, but the main plot is really good and manages to keep you intrigued until the very end. The ability to complete a wide array of side quests allows for a great deal of replayability and keeps gameplay fresh and entertaining. Considering that the series has been going on for awhile, it’s safe to say that adding in new mechanics and attacks does add that extra oomph to the overall gameplay. Graphically, Assassin's Creed Syndicate is the best looking Assassin’s Creed title to date. The game world is astounding, and at the same time the character design is amazing. You do get a few graphics glitches here and there but the game looks and plays well while offering up a ton of replay value, which is what matters the most in a title such as this. The game’s sounds and effects are as realistic as always, but the soundtrack does manage to make the game stand out quite a lot. This alone impressed us right off the bat and the more you play, the more you will love the theme-appropriate tunes! In the end, while Assassin's Creed Syndicate isn’t perfect, it does have its fair share of great features. It’s a ton of fun to play, and at the end of the day it’s just a great way to spend your time, by exploring one of the preferred time periods for many history buffs. 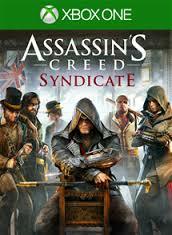 It’s was a pleasure to play the new release and after the technical disasters that occurred in Unity, Assassin's Creed Syndicate manages to right the wrongs and offer us a great new Assassin’s Creed experience, maybe the best one in years. To learn more about the game, visit the official Assassin’s Creed Syndicate website.